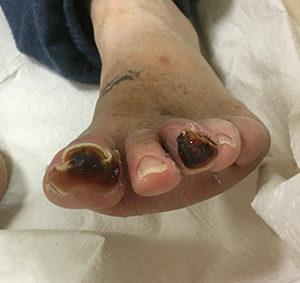 This includes nail trimming for geriatric patients who have problematic nails such as fungal nails, thick and overgrown nails, etc. Hillel can assess the function of the foot in children with the aim of preventing the development of future problems. In diabetic patients it is very important to have regular foot check ups in order to avoid problems. Diabetes causes patients to often suffer from reduced blood circulation and reduced sensation in their feet ( peripheral neuropathy). Therefore they are prone to develop ulcers in their feet that can become very serious problems. Regular visits to the podiatrist can help prevent problems from occurring. Hillel Gluch can perform a biomechanical examination which consists of assessing how the foot is functioning during gait ( walking cycle). This can enable the podiatrist to get to the underlying cause of a lot of conditions that occur in the feet and lower limbs. By correcting the biomechanics (the way the foot functions during walking) the podiatrist can heal the resultant pain that may be present in the feet, lower limbs and even sometimes in the back. 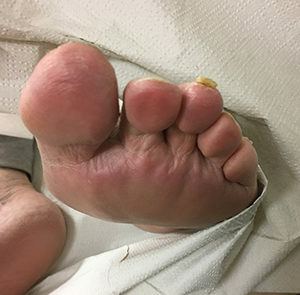 Chronic foot pain such as heel spurs, plantar fasciitis: Hillel will examine the patient and look for the underlying cause and how to correct it for the specific individual. This may include correction of the gait (see above) and exercise. 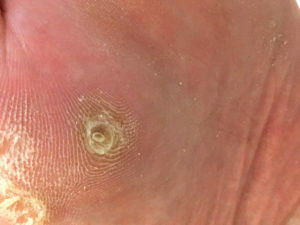 Corns and calluses are made up of dead skin which builds up due to the mechanical stress (pressure from walking, ill fitting shoes, or deformities of the foot). Due to the continued stress a corn builds up and gets deeper and deeper under the skin. 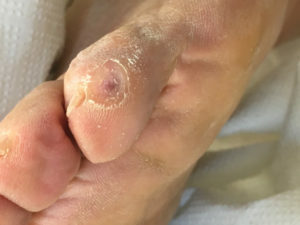 A callus, however, is more superficial (on the skin and not deep like a corn) and generally covers a wider area than a corn. 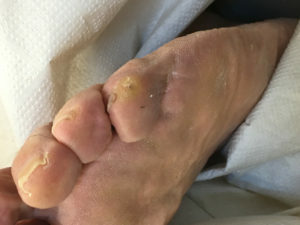 Hillel Gluch will remove the corns and calluses. 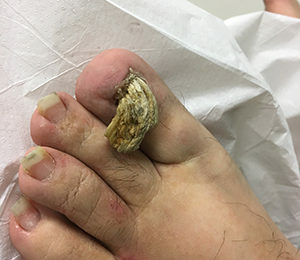 He will also examine the patient to assess the underlying cause of the corns or callus . Hillel will then advise and treat the patient to prevent recurrence. 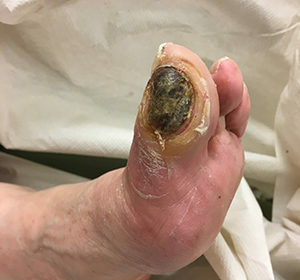 A wart is a small hard benign growth of the skin caused by a virus. 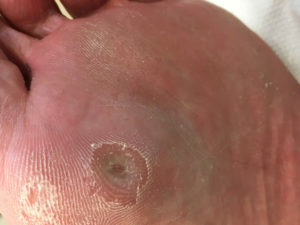 Warts can be treated in a number of different ways. Hillel has been successful in treating very recalcitrant warts.